Trip Two: Pining for the Fjords. Back to Oslo on the second part of my residency / project. 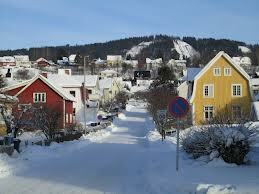 This time I’ll be heading up near to Lillehammer so that I can record environmental sounds. The forecast looks fairly chilly but not exceptionally so, and there does now seem to be light snow predicted (which is what I’m after). I’m certain that the temperature is going to be a bit of a shock to the system when I first arrive but hopefully it won’t interrupt the processes of recording. This leg is certainly going to be more of an adventure than last time (which consisted mainly of barricading myself into the studio for late night sessions), and some details about the adventure I’m still not clear about. But when I know, you’ll know. Today was consumed by processing of materials and development of the composition. So there are not so many active ‘goings on’ to report. However, I did manage to sketch out the whole form of the first piece. With a clear (at least it is clear to me) beginning, middle and end (though I think it needs more work to fully polish and emphasise it). I decided to end with the mill pond on the river ‘Akerselva’, directly outside the windows of NOTAM (photo above). If you get a chance, let me know what you think about the piece. There is still more work to be done. I have a few notes of areas to develop and will hopefully discover a few more ideas in my sleep, but if you have any comments I’d love to hear them. Find and insert more ‘guitar edit’ recordings. Edit and isolate ‘swishing dishwasher powder’. Develop this more. Develop squeaky door sounds: transposition and stretch. Develop dishwasher plates and clinks more? Play and record corridor resonance. Move back second guitar edits so as to cover the keyboard crossfade. 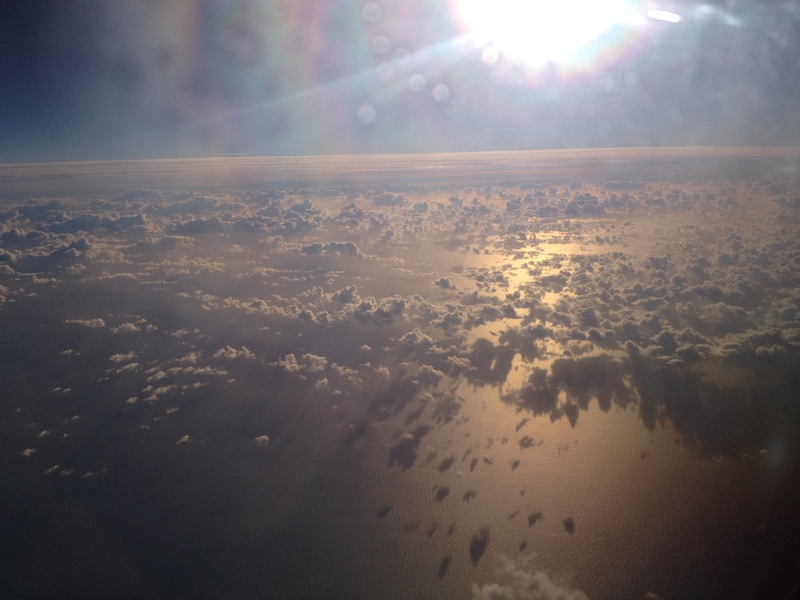 I’m currently updating my blog from the aeroplane, at least 10,000 ft above the North Sea (thank you Norwegian Air). Off on my first visit to NOTAM. The goal of this trip is acclimatisation and investigation of the centre itself. I will record sounds from around NOTAM (the sounds of the building the people, the technology, the rehearsing musicians), and use these as materials for development of a short work (c. 8 minutes). I’m looking forward to meeting all of the composers and musicians who are based there (those that haven’t already disappeared for the winter break). And hearing some excellent music. Currently however, I’m enjoying some fabulous cloud formations passing below me. I might just have to find a way to use these as inspiration for textural materials and layering. Great depth and variation.